Multinational FMCG companies have made every effort to capture the new generation of shoppers in Vietnam - Millennials. 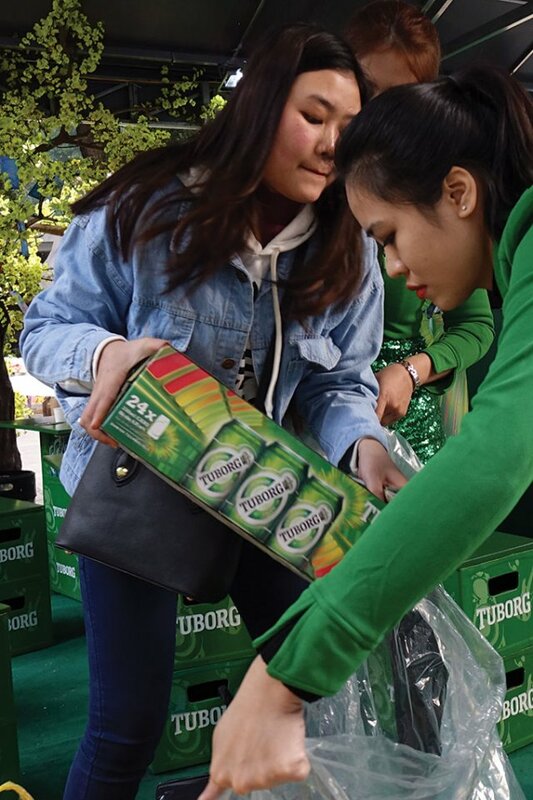 Among the top 10 most-chosen fast-moving consumer goods (FMCG) brands in Vietnam by sector in 2018, as revealed by Kantar Worldpanel, beer brand Tiger ranks third and is considered an affordable premium brand able to ride the up-trading wave in the country’s beer market. It also promotes a lot of social activities and activations that target Millennials or Generation Y (born between 1982 and 2004) in Vietnam, in the hope of capturing this rising consumer base. Representing 35 per cent of Vietnam’s population, the group are key customers in Vietnam’s FMCG market as they are the shopping generation of the future. The main shift in consumption patterns in Vietnam still comes from the simple fact that Millennials are on average much wealthier than any other generation before them. This group of 20 to 40-year-olds form the majority of the emerging middle and affluent class in Vietnam. There were around 20 million middle and affluent class consumers in 2016, or some 23 per cent of the population, and the number will grow to around 30 million in 2020, or 33 per cent, and nearly 47 million in 2030, or 52 per cent, according to the Boston Consulting Group (BCG) Center for Customer Insight in Vietnam. Millennials are the first generation of Vietnamese consumers who have disposable incomes that enable them to purchase more products described as “small indulgences” or “lifestyle products”. This expanding group of consumers is driving Vietnam’s booming FMCG market, which has induced a lot of multinationals to come to the country and promote their marketing and product development strategies. Multinational FMCG companies have been introducing new product innovations to the market quite quickly over recent years, to cater to the evolving needs of Vietnamese Millennials, according to Mr. Marcin Miller, Director of BCG in Vietnam. “They also increase their marketing spending and invest in brand building, for example engaging Vietnamese celebrities, to make sure they have a ‘lifestyle’ value proposition,” he said. Taking advantage of identifying its main customer target, GS25 has studied the consumption behavior of Millennials in detail to capture their needs, thereby building a key message that is relevant to them. In the past year, associated activities at GS25, including the launch of new products, promotions, advertising campaigns, scholarships, and community activities are all directed towards Gen Y.
Gen Y is quite influential in many respects, including their peers, generations before them, and the older generation when it comes to household purchases, according to Mr. Ted, General Director of Miniso Vietnam. “Gen Y are trendsetters and Miniso is looking to tap into this as a way of improving what we offer,” he said. When entering Vietnam, GS25 studied the market and identified trends, especially among young Vietnamese, and set out methods for the selection of new product launches and strategies to promote images and reach customers through multimedia channels such as Facebook, YouTube, and online news channels. It cooperated with talented key-opinion leaders (KOLs) and celebrities in many fields to convey messages to Gen Y. With its main message of “Bring you to Korea”, GS25 has given customers the same experience found in standard shops in South Korea with featured, exclusive products, a modern shopping space, and friendly services. Likewise, expanding its beverage line also enables Coca-Cola to satisfy the diverse needs of Vietnamese Millennials. The company is now not only selling Coca-Cola and Fanta but also options like Fuzetea Plus and Nutriboost and even Coca-Plus Coffee, which combines the iconic Coke taste with pure coffee while containing less sugar. In October last year, Coca-Cola launched the very first ready-to-drink coffee product, Georgia Coffee Max, which is testament to its deep understanding of young local consumers’ tastes and habits. Social networking is definitely an effective way for brands to connect with Millennials and it is clear that mobile advertising is gaining the upper hand in today’s digital world, especially when a large number of Millennials buy or are looking for product information directly from mobile devices instead of desktop computers or laptops. “But connecting with Gen Y online is not easy because traditional advertising is ineffective,” Mr. Ted from Miniso said. In order to win the trust of Millennials, according to Mr. Miller from BCG, multinational FMCG companies need to be consistent, especially in quality, need to listen to them, and must customize their products to their needs. What does not work for MNCs is clustering Vietnamese consumers together with, for example, their Thai counterparts. Many MNCs assume that Vietnamese consumers are the same as elsewhere in Southeast Asia. As a result, he added, they don’t adjust their products and marketing in Vietnam and a number of companies have lost significant market share due to poor marketing efforts and limited knowledge about consumers in Vietnam. He recommended that FMCG companies be very clear about who their target consumers are, what their needs and desires are, and how to communicate with them effectively. Some companies, especially MNCs, have struggled with that in the past. When it comes to marketing campaigns and building a brand identity in Vietnam, many brands have failed, including major players. Friesland Campina, for example, struggled to keep up with Vinamilk’s well-targeted marketing campaigns a few years ago, while others, like Danone, were forced to withdraw from the market. FMCG companies should also quickly bring product innovations to the market, as Vietnamese Millennials are more open to new products and tastes than previous generations.